This beauty is a textured viscose stretch plisse' in jet black, with a wonderful informally pleated texture (vertically oriented) and about 25% widthwise stretch with perfect recovery. 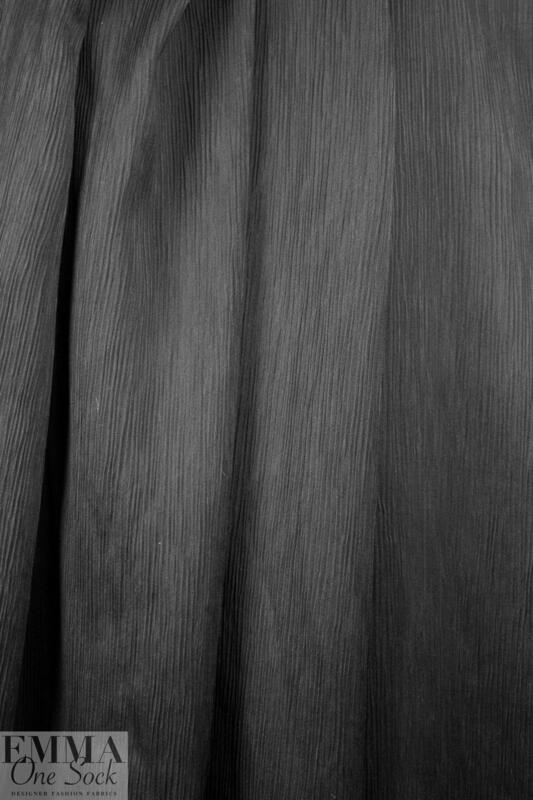 It is a dress weight fabric, nearly opaque, with a bit of body in the drape and a beautiful surface texture. 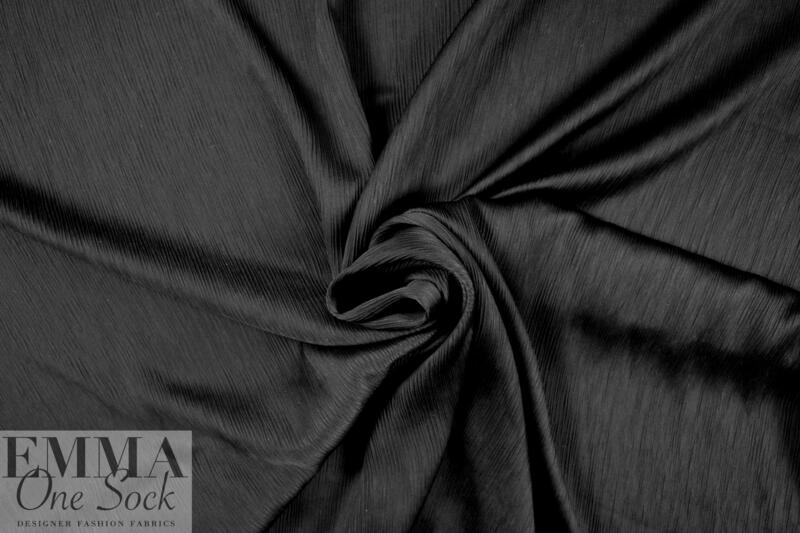 This is a fabric that can go from casual to office to evening and is perfect for shirt, tunic, dress, skirt, top, etc. Dry cleaning recommended.